EASTON, PA – Famous Smoke Shop, the leading online distributor of discounted premium cigars, specializing in offering the web’s widest selection of cigars at the lowest prices, has just added a new, affordably-priced line to its stable of Oliva cigars. 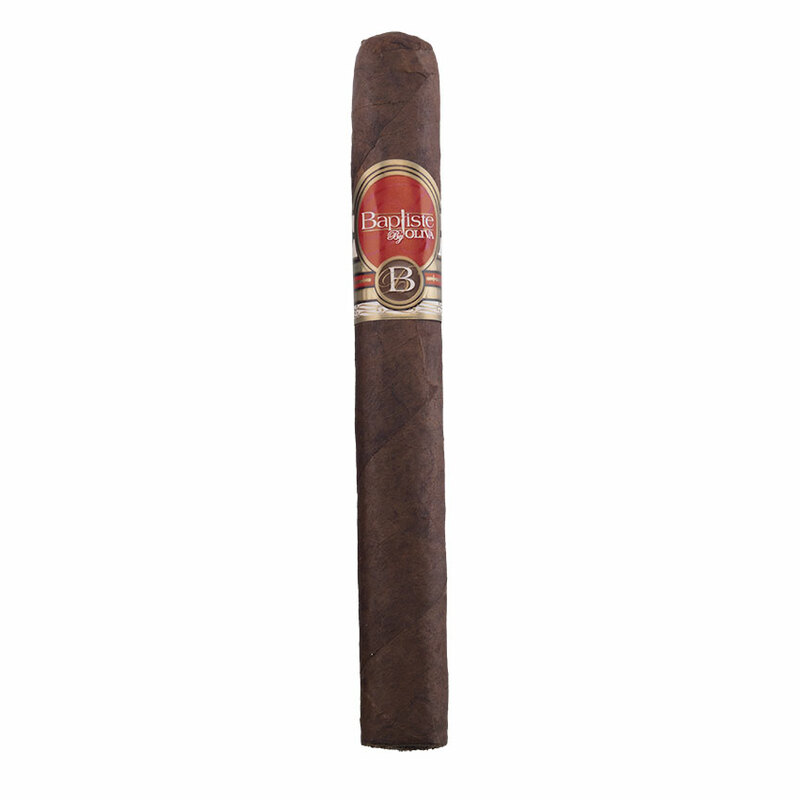 Named "Baptiste by Oliva," the line features a full-bodied blend of diverse Nicaraguan long-fillers rolled in a flawless Ecuadorian-grown Habano wrapper leaf. The name was reportedly inspired by the character, "Andre Baptiste," the ruthless Liberian dictator played by Eamonn Walker in the 2005 film, Lord of War, starring Nicholas Cage, which may account for the knife-shaped "t" in Baptiste as seen on the label. However, as Famous Smoke Shop Brand Manager, Tarah Sutter, points out: "The smoke may be 'decadent,' but it's not wicked like the Baptiste character in the movie; although you could say that it's 'wicked-good.'" Baptiste offers a well-balanced, full-flavored smoke imbued with an earthy-spicy character that reveals notes of cedar, black coffee, and a hint of pepper on the finish. 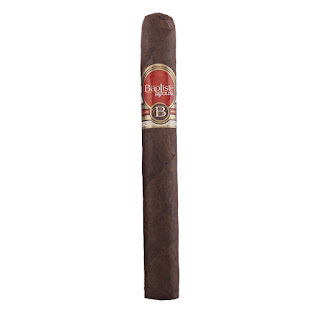 "Those who enjoy smoking cigars like the Oliva Serie O, Oliva Serie V, and Vindicator by Oliva will find the new Baptiste by Oliva cigars especially satisfying, as well as cigar smokers who are typically drawn to the best full-bodied Nicaraguan cigars," added Ms. Sutter. 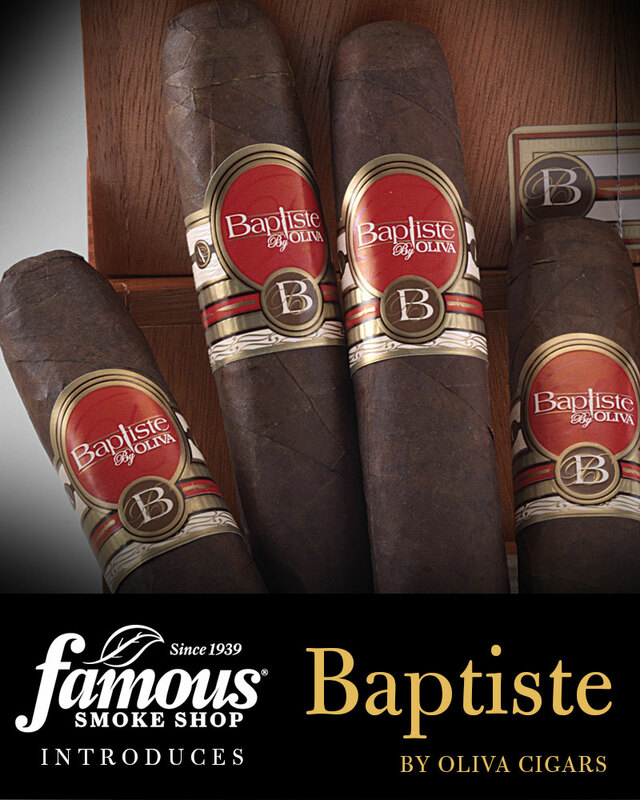 See more information on Baptiste by Oliva cigars here.